6 kilometers. 18 minutes of hovering perilously close to your physical edge. 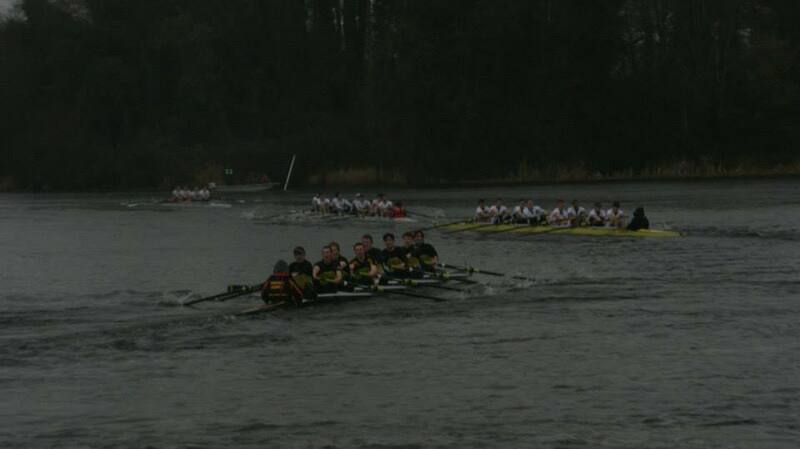 Add howling wind and rain for good measure- for most, it’s one of those “why do I even row?” days. Not for this DUBC squad however, who stamped their authority on the Irish Head season with some cracking racing this weekend. The DUBC senior/intermediate squad placed 1st and 3rd respectively overall, collecting the pennants for Senior and Intermediate VIIIs. 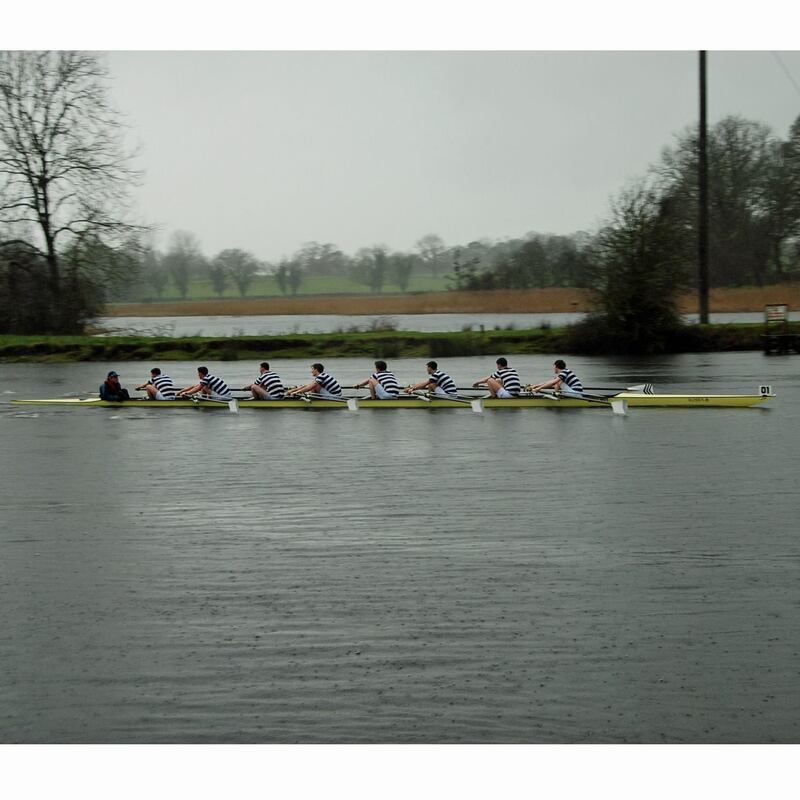 Not only did both 8s beat both of the hotly fancied High-Performance entries from Rowing Ireland, but the Senior 8+ even broke the long-standing course record in a blistering 18 minutes, 22 seconds. 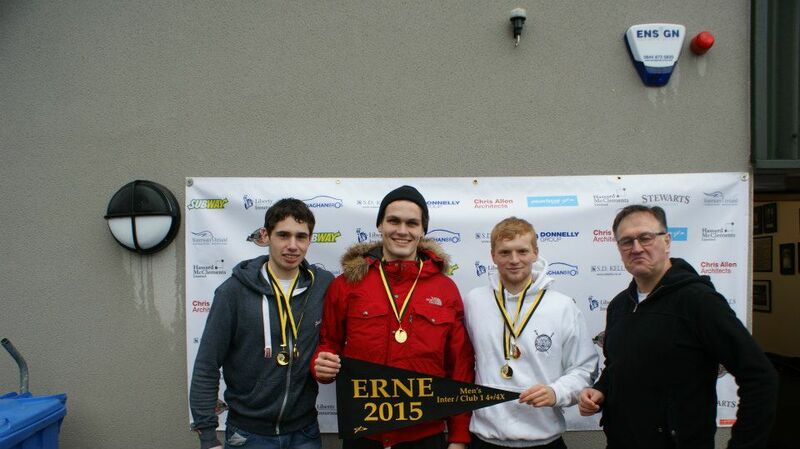 Not forgetting of course our “Bucket 4+”, who picked up the pennant for Intermediate 4+/4x in an equally impressive time given the tough conditions. Well done to all. As for our Novices, coach Charlie Cunningham made a bold move, entering them in the Club 1 VIIIs category, racing against some slick and seasoned crews. Throwing caution to the wind, this years newcomers shifted their boat well finishing well ahead of their Novice opposition who will undoubtedly contest the Championship with them this summer. Full results are available here with a further write-up available here. Hard work paying rewards yet again- now we look forward to the Dublin Head next weekend, and of course, Colours.